All Risk Mission: Traditionally, the fire service was called upon to fulfill a single focused core mission of protecting communities from the ravages of fire. And though that origin of fire suppression service remains, the core mission of the modern day fire service has drastically transformed. Fire suppression is now only one small facet of what has become a broad range of service expectations placed upon today’s fire service. The contemporary fire department must now be fully prepared to function as an “All Risk” emergency service provider. 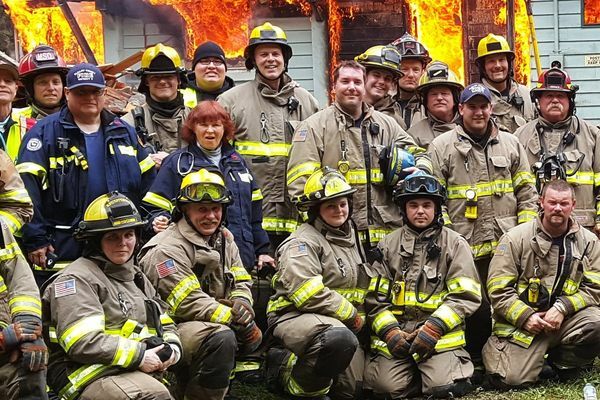 Emergency Responder Staffing: A cadre of eight to ten on-duty career firefighters and fire officers cross-trained as either EMTs or paramedics staff three of the District seven fire stations. These stations are staffed 24/7/365. Stations 33 (Carlsborg) and 37 (Blyn) are staffed with a two-person crew who cross-staff the units assigned to their station. Station 34 (Sequim) is staffed with at least two crews of two. On-duty crews are often augmented by volunteer responders who pull duty shifts alongside them. The District also maintains four un-staffed stations that are operated by volunteers who respond from home when called upon. Using high training standards, state-of-the-art equipment, the skills and dedication of our members, the District does its best to assure we provide a high standard of care.